previous years we've played there. (Oh, if only we got a picture of me in my fabulous Louise Mandrell raincoat!) It delayed the shows for about an hour, but didn't deter folks from coming out. They estimate that 15,000 people attended the show over the course of the weekend. Wish I could've seen Steve Martin & the Steep Canyon Rangers as well as Chris Thile & the Punch Brothers. Did get to take in the Carolina Chocolate Drops and Emmy Lou Harris (was great to see Ricky Simpkins up there with her.) For video clips of each, visit my Facebook Page. It was just incredible to see the outpouring of support for the International Bluegrass Music Museum, which puts on the show. If you've never been to visit the museum, I strongly encourage you to do so. They're doing a mighty job of preserving as well as creating Bluegrass Music history every day. My DP Hopkins signature claw hammer banjo and I started Saturday off with a photo shoot by Bluegrass DJ extraordinaire Darwin Davidson for his 2012 Banjo Girl Calendar. We'll let you know at BeckyBuller.com when that becomes available. From there, I headed right over to the fiddle workshop, where I met Randy Lanham (who leads a great workshop, by the way.) And, wouldn't you know, my honey showed up along with our niece Amelia. Yea! As I mentioned before, we hung around for some of the music after our show and...as Paul Simon said, "Gee, but it's great to be back home..." It always takes at least a week for me to get my head straight again after being on tour for such a long time. Give me a day or two to pick our flooring for the music room, oh please, oh please! Thanks so all of you who followed our adventures these past two months, whether it was on the internet or at the shows. Thanks to all who shared with us their incredible hospitality, friendship, and music. We had an absolute blast! And thanks to all who prayed for our safety (and sanity!) as we traveled far and wide. See you down that road again really soon! Thanks to Claude Rossat for the news that La Tannerie, a concert venue located in Bourg-en-Bresse, France (near Lyons and Geneva), is organising a two-day banjo workshop on 17-18 September 2011, with Bill Keith (USA). All banjo pickers who would be interested in the workshop can contact Claude by e-mail, or contact La Tannerie by e-mail or through its website . 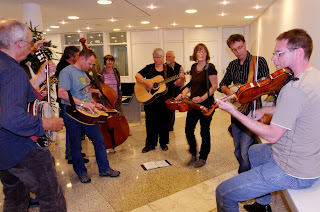 Thanks to Lilly Pavlak, who forwards information on the 22nd Summer Bluegrass Music Workshop, held as usual during the third week of August, in Hustopeče, about 30 km from Brno in the Czech Republic. Total beginners are welcome to the course, which offers five intensive days of 5–6 hours class work daily, with emphasis on enjoying the band experience as well as individual playing. The teachers come from the best Czech, Slovak, and Moravian bluegrass bands. Although lessons are basically in Czech, the teachers (and most of the students) also speak English. Other activities include jam sessions, talks on instrument repair, audio and video showcase of American bluegrass music news, and finally a big music party for teachers, students, families, and friends on Friday night. The price (approx. 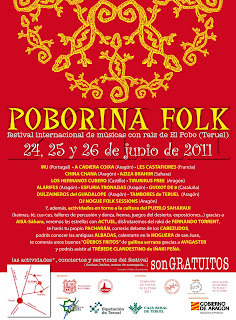 €260) includes the cost of the stage, accommodation, and three meals daily. A downloadable application form is on the website. Applications should be sent in before 10 July, with payment after arrival. For more information, visit the Workshop website or e-mail. Thanks to the Country France newsletter for the news that Suzette Lawrence & the Neon Angels (USA) will be playing in Billy Bob's, Place de l'Hotel de Ville, Paris, France, on Saturday 2 July 2011. 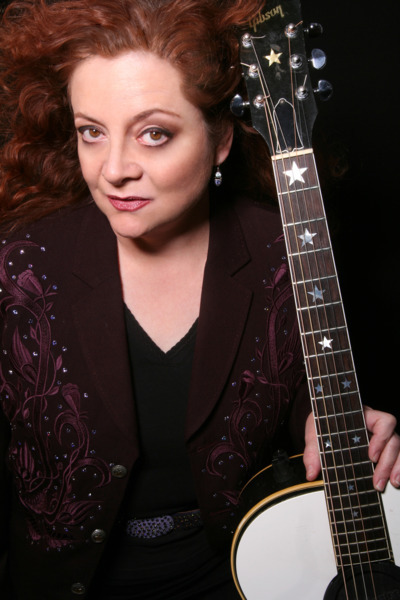 Born and brought up in Texas, Suzette Lawrence played music from an early age in her family's bluegrass band, the Backwoods Volunteers, who played at many festivals alongside the great names of bluegrass music. 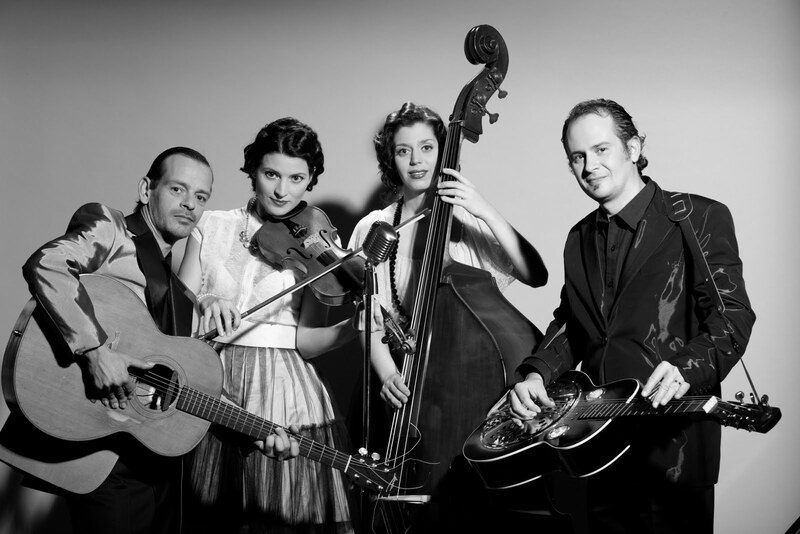 Her current band, the Neon Angels, combines elements from hillbilly, honkytonk, cowpunk, bluegrass, and rockabilly. No details of other shows in Europe are available at present, but it is believed she is also playing in the Netherlands. So please read on about the end of the European leg of our two-month tour. I'll be posting one more installment after our gig at ROMP Saturday in Owensboro, Ky. Passing by wads of windmills on the east side of the Zuiderzee. In a rare moment of touristic benevolence, J. Gregory stopped in the middle so we could take pictures. Actually, we're all fascinated by the way the levees work and have lots of questions for our Dutch friends when we come back. Played to a packed house at Cafe de Vriendschap in Wadway, Netherlands, last night for our dear friends Loek and Hanni Lamers. (Val and I are really excited about the Delft cow creamers, Loek! Thanks!). Pieter Groenveld was on the sound...great as always and thanks for the EWOB sticker for my banjer case. And we saw lots of familiar faces...Cor, Hank, Zoey, Hans... I didn't want to get o ut of my comfortable cubbyhole bed at the B&B this morning, but I'm glad I did as it gave me more time to visit with the Lamers and an incredible kiwi jam was served. Oh, and Loek taught me how to wow little children by cracking my hard-boiled egg on my head. My second cousin Lynn came to the show from Amsterdam...we look so much alike, we could pass for twins! She and her family own the American Book Center in Spui street, Amsterdam. She is the author of "Passing The Comfort," the story of thousands of quilts sent by the American Mennonites to help the Dutch after WWII; of Lynn's journey to Holland in the 1970s and how these old quilts helped her feel connected to the folks back home; and of her friend An who is a Mennonite minister's wife and was with the resistance during the war. It's a good read. By the way, they have the most interesting new machine at both ABC locations in Amsterdam and Den Haag. It prints books while you wait, either manuscripts you bring in or out-of-print, hard-to-find titles you've looking for... Check it out by clicking here. 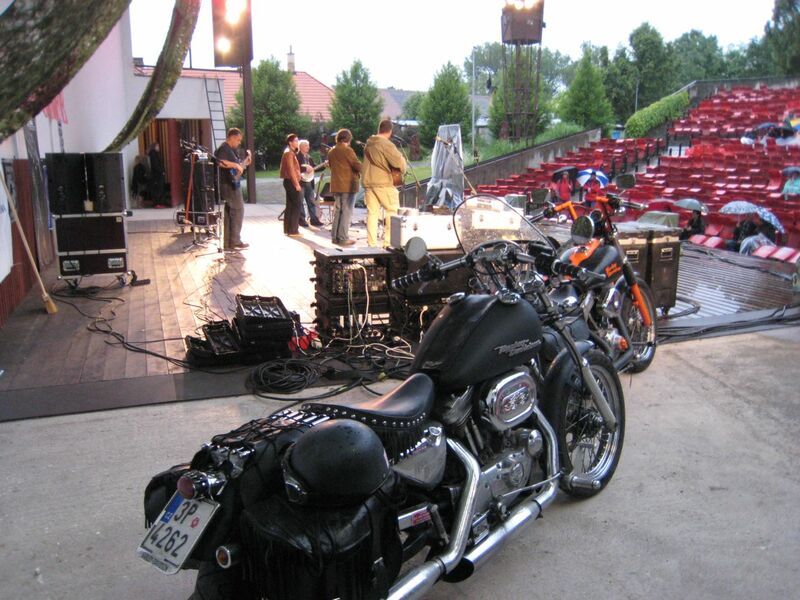 Gig at the Kulturspeicher in Leer tonight. Another sold-out show! Thanks to our hosts for the wonderful meal ahead of time. Wound up our six-week European adventure in Hildesheim at their Jazztime Festival. Figure there were around 10,000 folks in the audience! Really! I've posted a video to my Facebook page. Met an incredible Iranian Flamenco guitar player while there. Also met up with my friend Delia from Murfreesboro, Tenn., who is traveling across Europe for the month. 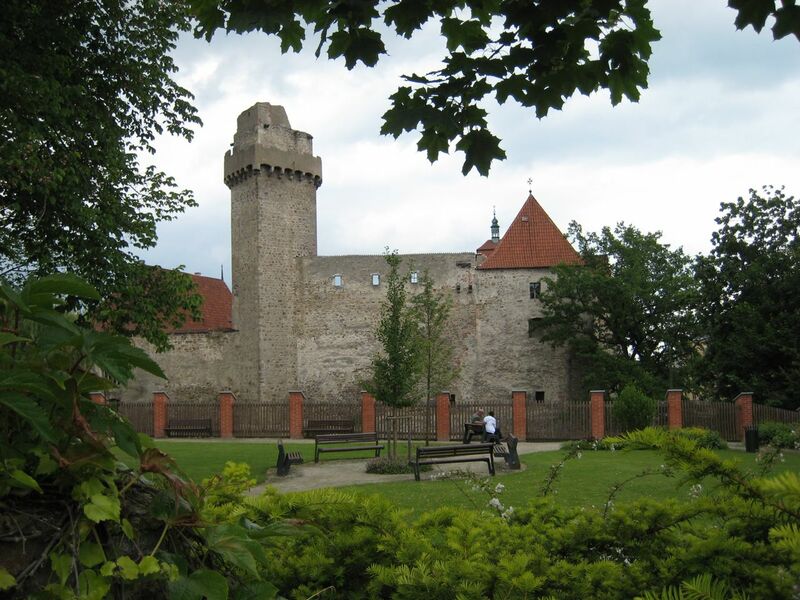 According to some really nice local folks we met over a plate of Hawaiian schnitzel tonight, Hildesheim is home to the fourth largest collection of Egyptian artifacts in the world as well as High German, as in the German folks are taught in school. They also told us a story about a Tom Thumb dude who kept local thieves from stealing apples in the way back yonder days. Frankfurt...here we come! Then on to Canada! 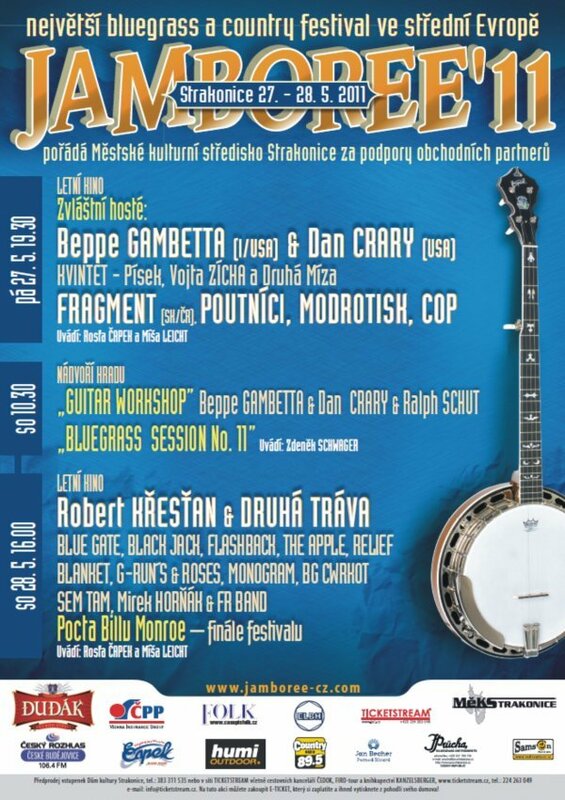 The CzBMA's 39th edition of the oldest European festival, Banjo Jamboree, started on Friday and ended this Sunday (19 June) with early-morning informal jam-sessions at the open-air theatre in Čáslav, Czech Republic. Among the 27 performers there were also newly included mandolin wizard Radim Zenkl as well as the great Don Rigsby & Midnight Call (USA). Despite the Saturday afternoon rain, the faithful audience kept supporting the musicians even after Saturday midnight. 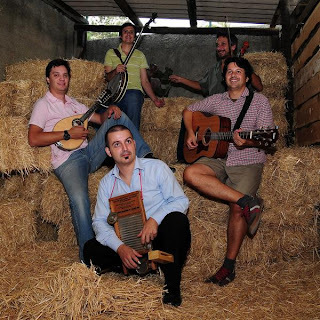 Black Jake & the Carnies (left), the six-piece 'crabgrass' band from Ypsilanti, MI, USA, who toured for two weeks in Belgium, the Netherlands, and Germany earlier this year, are issuing for general release their second full-length album, Sundry mayhems, distributed by Sonic Rendezvous. The album, which was available from the band in Europe, includes a 24-page songbook with an original painting and lyrics for each song. The first single, 'Farmer had him rats', is available for free download on the band's website. To download a copy for review or radio, go to the band's bandcamp page and use this download code: xyh9-ee5t. You can request a physical copy of the record by e-mail. Additional info, songs, photos, and videos can be found at the band's website and press kit. 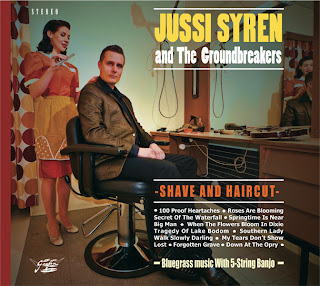 Today the original Bluegrass Blog features Shave and haircut, the new CD by Jussi Syren & the Groundbreakers (Finland), released on Goofin Records. Shave and haircut is the band's seventh album, and their sound remains as tough and uncompromising as ever. Sound samples, a performance video, and more details can be found on the Bluegrass Blog. The excellent Alsatian bluegrass band Steppin' Stones [above] plays again at the Gewölbekeller in Bühlertal, near Bühl/Baden, Germany. Steppin' Stones is a trio with Jean Paul Distel (vocals, guitar, dobro), Pascal Spitz (vocals, guitar, banjo) and Laurence Gondet (vocals, bass). The concert takes place Saturday, 9 July, at 8.00 p.m. Info and tickets: tel. +49-7223-9967-0. Thanks to Andre Lentilhas, who sends from Portugal the news that the only Portuguese bluegrass band - Stonebones & Bad Spaghetti - will be performing at the Teatro Cervantes in Bejar, Spain, on 12 July 2011 as part of the Bejar Blues Festival. Full details can be seen here on the Festival website. Above: another of the 'retro'-style monochrome photos of Lilly of the West (BG). Thanks to Lilly Drumeva for news of the schedule of shows for Lilly of the West during the coming months. For more info, e-mail. The organising committee for the Didmarton Bluegrass Festival in south-west England report that preparations for this year's event (1-4 Sept.) are well advanced, and all details will appear on the Festival website soon. Over thirty bands are scheduled to appear, and the timetable for the two stages is close to complete. 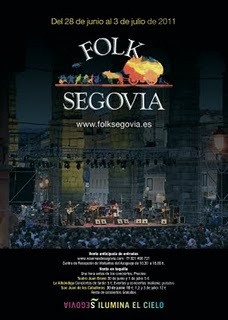 Bands wishing to perform in 2012 can use the downloadable application form on the 'Contact' page of the festival website; short-listing of bands for 2012 will begin soon after this year's event is over. This has been improved and updated. You can now download a form to volunteer for service as a steward. All details are explained on the 'Volunteer' page. Stewards are needed for the 2011 festival. The 'Directions' page has also been updated, to explain the changes in access to the festival site, which forms part of Kemble Enterprise Park. Instructions for reaching the Festival are downloadable. Tickets are available online or by post; full instructions are on the 'Tickets' page. Advance bookings are recommended. Arrivals are from Wednesday 2.00 p.m. and last departure by Monday noon, and all facilities will be operational throughout this period. The improved site layout adopted in 2010 will be retained, and improved stage, shower, and toilet facilities will be in place. Festival-goers are recommended to make use of the catering facilities and traders' area. A full press release with further detail, issued today, is here. Thanks to Lilly Drumeva, who sends from Bulgaria the news that new music and photos from Lilly of the West can now be seen in a nine-and-a-half-minute video on YouTube. Above, the band as they appear in a recent 'retro' photoshoot - many more photos with 'Western' and 'modern' themes can be seen in the video and on Lilly of the West's MySpace site. You can watch the video here, and contact Lilly by e-mail, by mobile 'phone (+359 888 660 990), or through her website. The enthusiastic embrace of the Academy of Bluegrass online has been pure enjoyment. The students are jumping right in to the Video Exchanges and making new bluegrass friends from all over the world! The Academy offers direct online instrumental tuition from some of the biggest names in bluegrass music: Tony Trischka (banjo), Bryan Sutton (guitar), Darol Anger (fiddle), Missy Raines (bass), and Mike Marshall (mandolin). Hundreds of high-quality beginner, intermediate, and advanced video lessons are available for each instrument. Every student can send their teacher a recorded video of themselves practising, and receive a personal video response with individualised instruction from the teacher. Full details are available at the Academy website. Read the Academy's latest e-newsletter here. After a fabulous time at EWOB it’s now back to reality - ha ha! You can hear the festival highlights with a whole new selection of bands, music, and interviews coming soon on both radio shows, so keep your ears and eyes posted as to when - probably in the next two weeks. I am slowly sifting through all the interviews so it’s taking a little longer than originally planned with everything else that I am doing, but it won’t be long! The next festival that I’ll be attending and doing radio coverage for is La Roche in August, so keep ears and eyes open for all the interviews and updates on that too. I met up with many of you at EWOB; it was fabulous to meet you all and many of you asked about the bluegrass scene here in the UK and the contacts. Well, here are some links; but I urge you all to become members of as many of the bluegrass associations as possible, because not only does it keep you completely up to date of all events and festivals etc. going on, it also helps (through subscriptions) to keep the festivals alive, thereby resulting in more chances for all bands in Europe and the States to attend and perform at all the festivals. The best way to keep up to date with everything bluegrass is to become a member of the organisations. All the associations are now working very closely with each other. There are so many benefits to becoming members. You don’t have to be in a band either - ANYBODY can join. 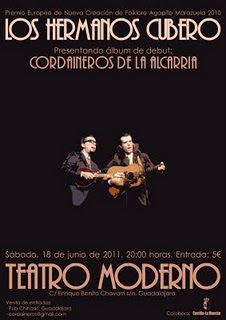 Los Hermanos Cubero (E) will be playing a special concert on Saturday 18 June at the Teatro Moderno in Guadalajara, Spain, their native city, where they will be presenting the music of their CD Cordaineros de la Alcarria. Performance videos and audio samples of their music can be found on their MySpace site. 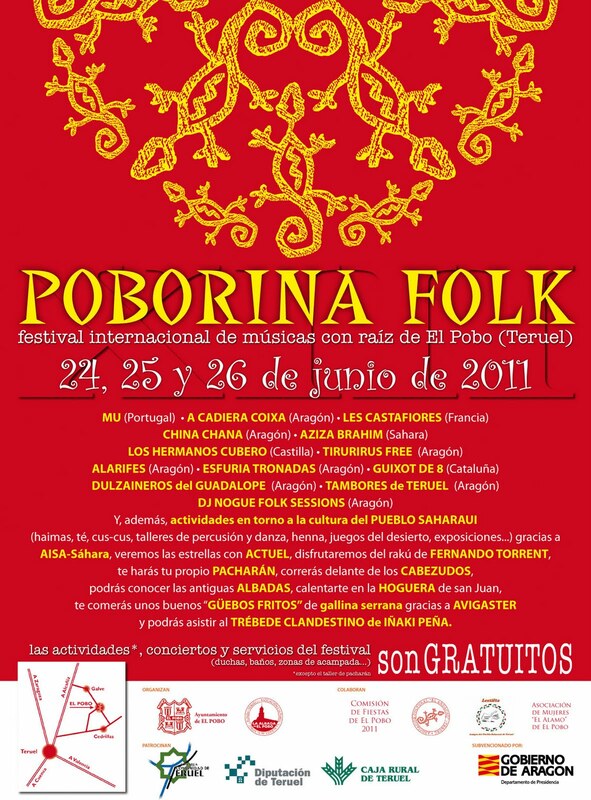 Los Hermanos Cubero will also be taking part in Festival Poborina Folk 2011 (24-26 June), appearing on 25 June, and a week later at Folk Segovia 2011 (28 June-3 July), appearing on 1 July. Inspired by the broadcast there has been an inordinate surge of early bookings for both October 2011 and Easter 2012, together with a fair number of e-mails and phone calls from people who hadn’t heard of the event before now. A warm welcome awaits all newcomers. Similarly it is of paramount importance to ensure continuity for those who have grown with us. Here therefore is a sincere entreaty for returning students to submit their bookings as soon as possible. As class sizes are limited, please don’t leave it to chance! Full details of all teachers for the 21-3 October weekend course, together with the latest news on the confirmed and prospective teachers for the main course next Easter (9-13 April 2012), are on the Sore Fingers news page. Whatever happens, there will be another amazing lineup of artists to teach and entertain at Sore Fingers Week 2012! On the BBC Radio 4 broadcast, see the EBB for 5 June 2011. A Sore Fingers mandolin class is shown in the above photo. Chris Stuart & Backcountry (USA) will be headlining the Didmarton Bluegrass Festival (1-4 Sept. 2011) in England. Chris Stuart and Janet Beazley are now available as a duo (see banner above), as well as in the full-band Backcountry which will be coming to Didmarton, with Eric Uglum (lead guitar, mandolin), Austin Ward (bass), and Henrich Novak of Fragment (SK) on dobro. 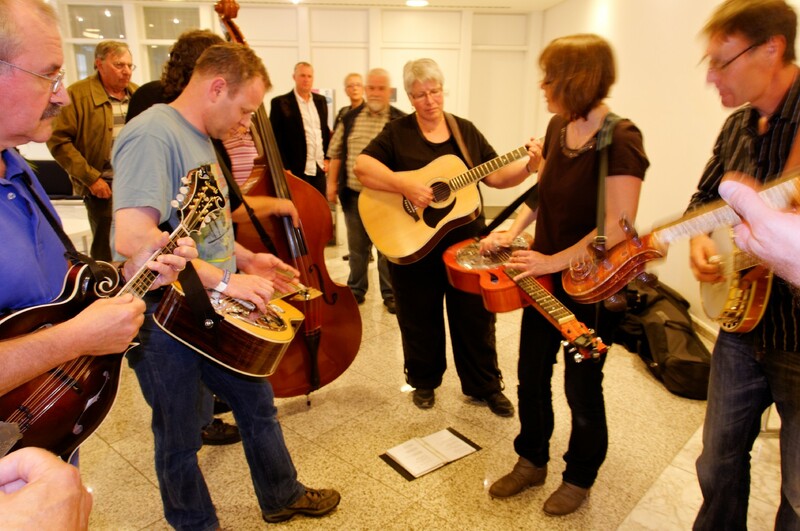 The Didmarton Bluegrass Festival is one of the founding members of the EBMA Festival Network. Thanks to Walter Fuchs, director of the International Bühl Bluegrass Festival in Germany, for these and many other photos of bands, individual performers (on, off, and backstage), and other moments at the 9th Bühl Festival (13-14 May 2011), all taken by Jörg Neuner. Twenty-five fine photos by Jörg can be seen here. 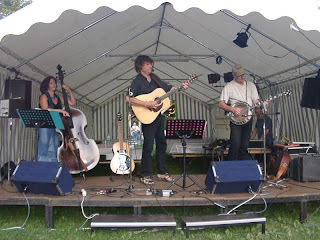 Sixteen fine photos, taken by Jan de Mooy at the European World of Bluegrass Festival (EWOB) in Voorthuizen (NL) a week ago, can be seen on the original Bluegrass Blog, where they were published yesterday. Albums of photos from EWOB in previous years can be seen on the Festival website. In the past we have reported about Jan Johansson’s poor health. We are delighted to note that Swedish fiddle player Jan Johansson [left], now living in Cary, North Carolina, had a heart transplant at the Chapel Hill Medical Center, on 20 March. Johansson was hospitalised until the middle of April and since then he has made good progress in his efforts to return to more normal health. His programmed rehabilitation has repeatedly shown positive signs. Matching his medical improvements, Johansson has enjoyed morale-boosting activities such as playing his fiddle, returning to teaching and, better still, playing at concerts. Johansson, now 53, has suffered from heart-related problems for many years, beginning with a massive heart attack at the young age of 36. In 1999 he underwent triple bypass surgery, and in 2005 he had a pacemaker installed. In 2008 he was diagnosed as needing a heart transplant, and in February 2010 he had a heart pump implant. The Circle of Friends for Jan Johansson has arranged another benefit concert to take place on Saturday 18 June, from 1.00 to 7.00 p.m., at the Unitarian Universalist Fellowship, 3313 Wade Avenue, Raleigh, North Carolina. The concert is an opportunity to celebrate Johansson's heart transplant and return to good health, and to raise funds to help defray the family's medical expenses. The Circle of Friends for Jan Johansson are again partnering with the National Foundation for Transplants (NFT), which is a 501(c)(3) nonprofit organization. The bands and organizers donate their time. All money raised goes to the NFT to support the Johansson family. For those unable to attend the concert, donations to Johansson can be made on the NFT website, or by mailing them to: National Foundation for Transplants, 5350 Poplar Avenue, Suite 430, Memphis, Tennessee 38119, USA. Please write on your check 'For Jan Johansson'. Further details are on the NFT 'Recent news' page. 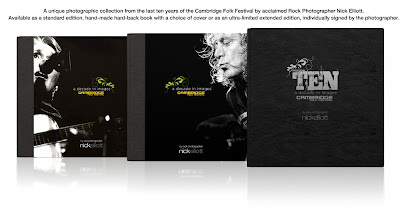 Elliott Studios announces the coming publication (July 2011) of TEN - a decade in images, a new limited-edition photographic book by internationally renowned rock photographer Nick Elliott, featuring images from the last ten years of the Cambridge Folk Festival, England. 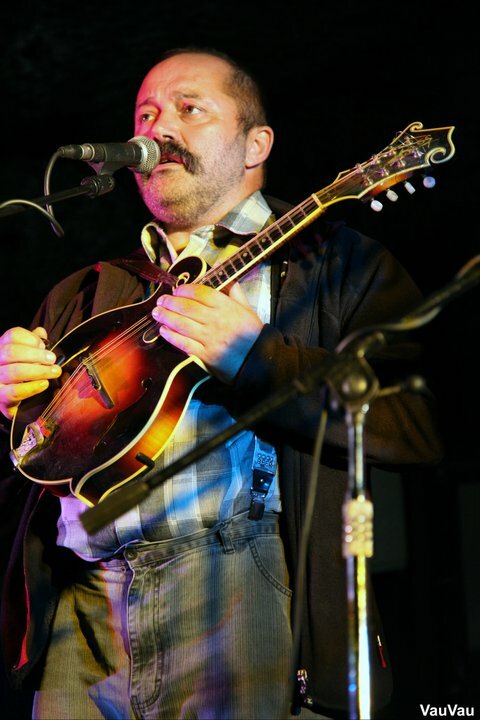 Cambridge, one of the longest running and most famous folk festivals in the world, has hosted many bluegrass and old-time acts, and the new book is a compilation of some of Nick Elliott's best work. The book is officially endorsed by Cambridge City Council, who organise the festival. 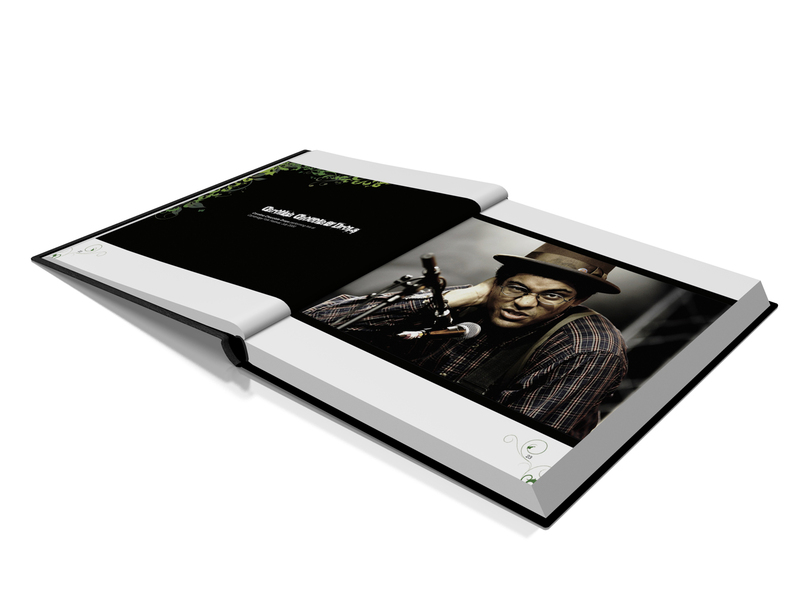 Published by Rufus Stone Limited Editions, it is available in (i) a standard 80-page edition, entitled A decade in images, with a choice of two covers (Joan Baez or Robert Plant) and a run of 1,000 copies (£40 plus delivery); and (ii) TEN, a 144-page version with additional photography, signed by Nick Elliott, and with a custom-built flight case, in a run of 200 copies available worldwide (£175 plus delivery). Copies can be pre-ordered here. Albums of Nick Elliott's photography can be seen online. Below: a sample opening, showing Dom Flemons of the Carolina Chocolate Drops (USA). 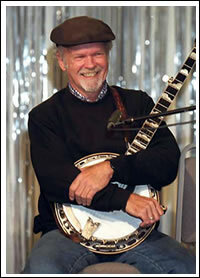 The bluegrass music world lost two important icons in 2011 in the persons of Hazel Dickens and Carlton Haney. In their memory, the Foundation for Bluegrass Music will be funding grants and/or scholarships this year and has set 15 August 2011 as the deadline to apply for these resources. A one-time fund of $10,000 has been earmarked with the following guidelines for applicants: up to $5,000 in memory of Dickens to fund public projects and/or education scholarships that foster 'artistic' development involving deserving young people, and up to $5,000 in memory of Haney to fund public projects and/or education scholarships that foster bluegrass music 'business' development involving deserving young people. Read more here or on the Foundation website. I will be working with Rienk Janssen in presenting bluegrass and acoustic music from around the world at IBMA's World of Bluegrass 2011. We are tentatively planning three nights of official 'World Grass' showcases - Tuesday, Wednesday, and Friday (27-8, 30 Sept.) - and we are taking applications for showcasing bands and artists from all countries. Applicants can be from any country, but the focus of this Nechville- and EBMA-sponsored event will be on bands that tour internationally. Please write me individually with names of touring bands that you think would like to apply. E-mails can be sent to Tom Nechville and Rienk Janssen. It was lovely to meet those of you who were at EWOB and to get interviews and collect your music for airplay, and of course to meet everyone that wasn't playing too. George and I had a wonderful time. Some of you still need to send me MP3s to play, so if you haven't already please do so. It's impossible for me to chase everyone up, so hopefully you will know who you are and send them accordingly. I am putting together the 'Festival highlights' programme over the next two weeks and will let you know when it airs. Meanwhile, I'm busy uploading everyone's music and will debut all new stuff on the 'Festival highlights' show first before following up with regular airplay. Alice Gerrard is a living legend in bluegrass and old-time circles, and the opportunity to live and study with her is not one to be missed. Simply put, Alice Gerrard is a talent of legendary status. Alice is particularly known for her groundbreaking collaboration with Appalachian singer Hazel Dickens during the 1960s and ’70s. 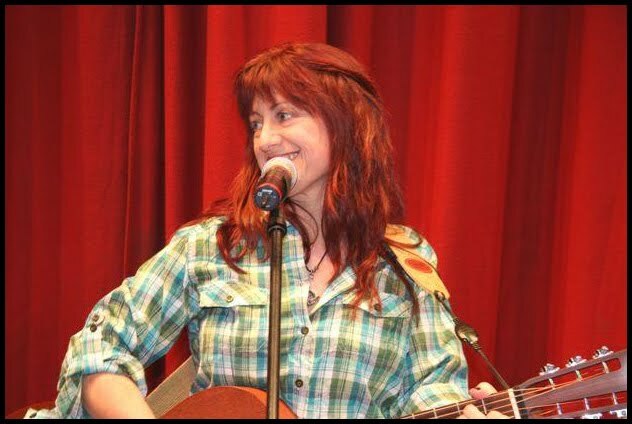 In a career spanning some 40 years, she has known, learned from, and performed with many of the old-time and bluegrass greats and has in turn earned worldwide respect for her own important contributions to the music. [One of the] most respected guitar players in old time music today, Beverly Smith is also in demand as a singer, fiddler, and dance caller. She has made numerous recordings, backing up fiddlers Bruce Molsky, Rafe Stefanini, Tara Nevins and Brad Leftwich, vocalizing with Irish musicians Mick Moloney and John Doyle, and also singing with bluegrass great Laurie Lewis. Beverly returns to La Fuente for a third year. 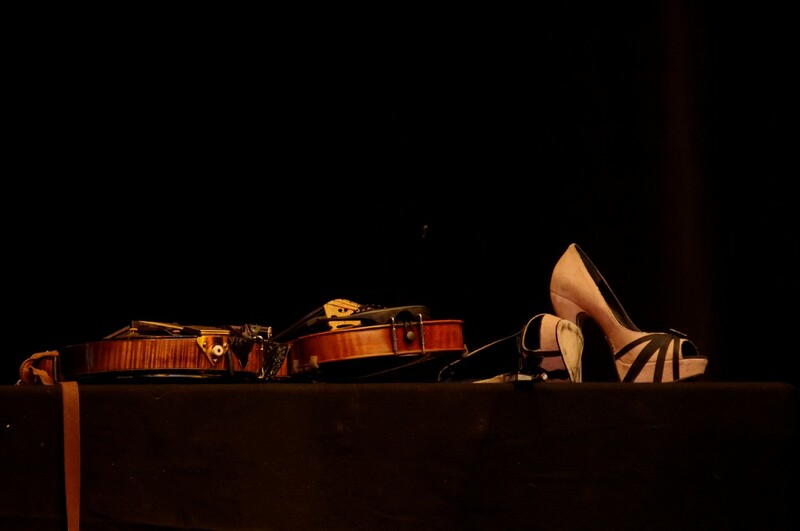 More information and photos from previous Fuente de Musica events are here. 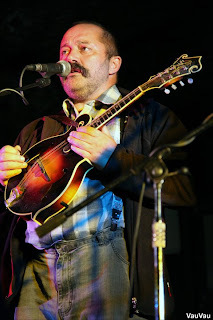 2011: Bluegrass Jamboree! 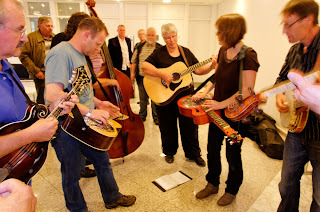 - Festival of Bluegrass and Americana Music 2011 Programme is booked; some last dates are still open for bookings. Please check at the Jamboree website. 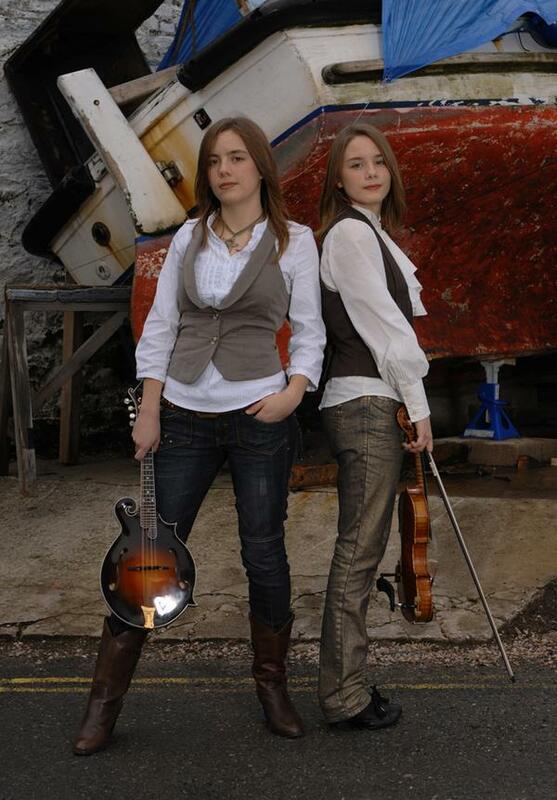 2012: 'Hillbilly Goddess' Alecia Nugent [left] (4x SPGBMA Female Bluegrass Singer of the Year) and her band will tour Europe most of May of 2012. Please contact us early enough so we can include as many countries as possible. For those who are not aware of her work, here is some info from her press kit. And links to a great performance at Celtic Connections, filmed by English BBC TV and a Music Video. Read more from Alecia Nugent's press kit here. Check out Val's road journal at: ValerieSmithOnline.com. Full house last night at the Müggenkrug in Oldenburg, Germany. So many folks we had seen previously on this tour at the Bühler Bluegrass Festival as well as way back when at the festival Neusedende. Then down the gullet it goes! When everybody is done with their snort, they turn the spoons over and whomever's spoon drips first is the one who has to invite everybody over to drink the next night. Niko had two old Citroëns in his driveway. The Germans say they look like ducks. I think they're very stylish, retronically speaking, of course. Niko sent me home with a mini two-tone Citroën for my whatnot shelf. It will have to do as I don't have room in my suitcase for the real thing. It's Saturday and the autobahn is full of antique cars and motorcycles and scooters. J. Gregory is chasing a Vespa... I love parades! Wild, woolly, whacky, and wonderful bluegrass night in International Bluegrass Night in Berkenroth with Covered Grass and the Looping Brothers. Had a lot of fun jamming with both groups backstage before and after the show. The stage was decorated up like a country front porch. There was a life-sized plastic horse right next to my side of the stage. I kept catching him out of the corner of my eye, thinking it was somebody trying to catch my attention. Bless Covered Grass' pea-pickin' hearts! They did a great version of my tune "How I Love You" on the show. Lovely singing, Corrina! 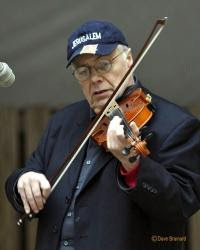 Junior Sisk & Ramblers Choice are available for booking for their European tour in May 2012. The band is celebrating their latest CD Heartaches and dreams achieving the #1 Album spot on the Bluegrass Unlimited National Bluegrass Survey Chart with the singles 'Train without a track' (Song of the Year in 2011) and 'Workin' hard ain't hardly workin' anymore' enjoying great success. Their new CD, Heart of a song, will be out on Rebel Records later this summer. 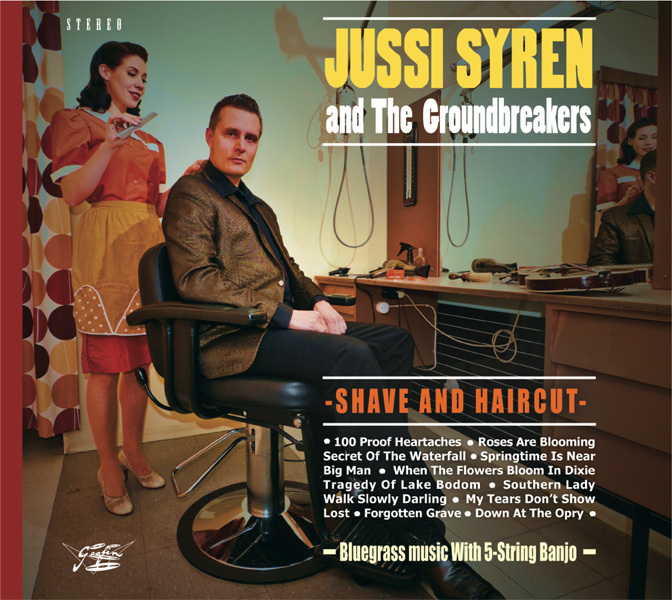 Junior and the band were nominated in eight award categories by the Society for the Preservation of Bluegrass Music in America (SPGBMA) in 2011 and anticipate several nominations from the International Bluegrass Music Association (IBMA) for this year's awards. Music samples and additional details are here and on YouTube. 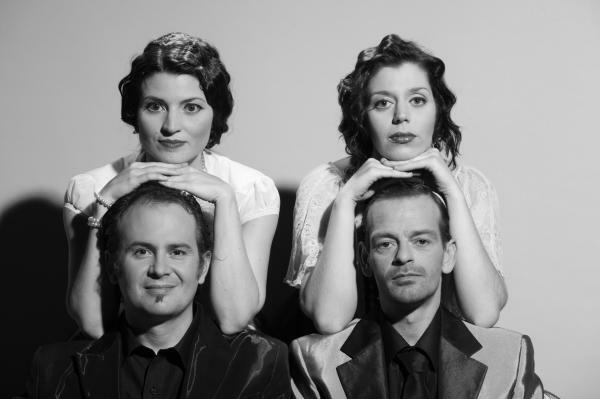 Please contact us [e-mail] with your interest for booking them for your venue, house concert, or festival during their May 2012 European tour. We hope to work with you for a performance during our time abroad. The band is already booked for 13 May 2012 in Amsterdam (NL), and for 19 May 2012 as part of the 13th Spring Bluegrass Festival Willisau (CH). Dates still open for bookings are from 14 to 18 May 2012 inclusive. On a January night in 1965 a new group - Ken Harris, Martin Hollis, Mike Rodgers, and Andy Smith - first stepped on a stage at a small club in Coventry, England. They surely could not have imagined that for over forty years, the band would be the preeminent British bluegrass band. A band that took their music all over the country, and the band that would be the #1 choice for a whole generation of BBC radio producers who needed bluegrass performers for their program. 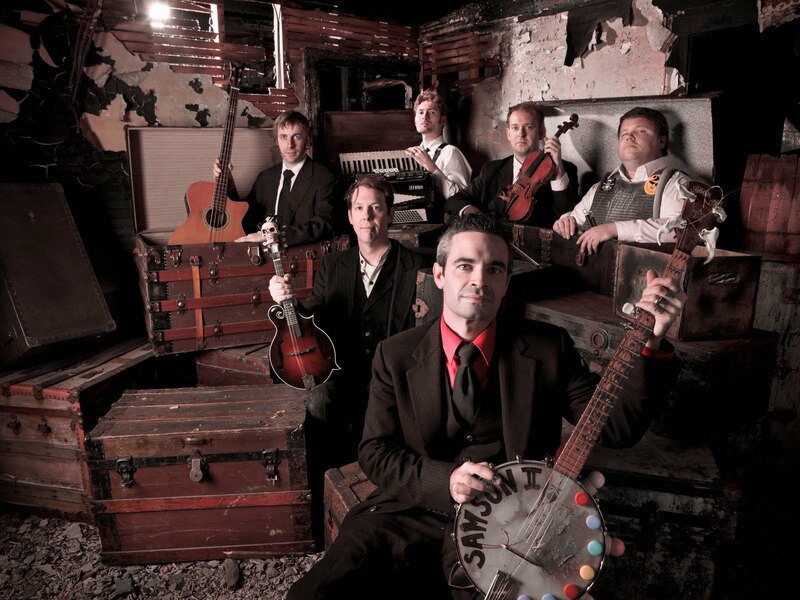 The Down County Boys were the first professional and successful bluegrass group in the UK. They are as much a part of bluegrass music history as the first-generation pioneers in America. Sadly, founding member Martin Hollis passed away late last night, June 8, 2011. He and his wife Terry (formerly from Ireland) have lived for over two decades in Connecticut, USA. Martin had retired himself from performing music in public. However in recent years he enjoyed some quality time on the stage, playing the music he loved so much. Besides our musical connection, Martin and I both came from a town called Coventry - he in England, and myself in Connecticut. I had the pleasure of playing music with Martin several times in recent years. Since coming out of his 'retirement' from music he had been a regular participant at a local gig in the capitol city of Hartford. Martin 'blamed' me for getting him back into the music scene. Shortly before I relocated to the Netherlands, I convinced Martin to fill-in for the lead singer of a band I was playing in at the time. Our lead singer became too ill to take part in our festival shows that day. Martin & Terry were sitting in the audience and that is when I begged him to join us for the two sets. It was one of the best times in my music life. Martin was a natural performer. Actually his stage presence never seemed like a 'performance' - but rather a few moments in his living room as he picked and sang and shared stories. I wish we had known that we had this pioneer in our midst for some 20+ years in Connecticut. Knowing Martin was an education of sorts for me. He was a humble and talented man. If his wife had never told us about his part in music history, I doubt he ever would have told us. Today I will raise a pint to the memory of a fine man of music, family, and life; and for this loss to our small bluegrass world. 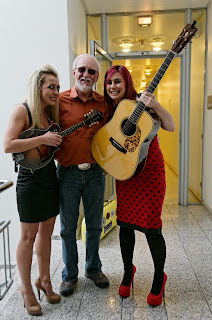 Update 13 June: A further account by Mike Rodgers can be found on UKBluegrass.com. Bluegrass in Belgium reports that the multi-instrumental Carrivick Sisters from England will be playing at the Brussels Folk Club on Sunday 12 June at 19:00. The venue is La Porte Noire, 67 rue des Alexiens, 1000 Brussels. Reservations essential (e-mail) - good food and beers available! The Carrivick Sisters were playing on Monday 6 June at Boet`n Deure, Poolshoogte, Meelkerlaan 5, Odoorn (NL), as support for the Davidson Brothers from Australia (special guests at last week's EWOB Festival). Congratulations to all the winners of this year's European World of Bluegrass! The festival took place in the nicest weather you can imagine, the picking was great, and everybody enjoyed the weekend. I want to say thanks to all those well known and unknown jammers that congregate each year at the festival in Bühl, having a good time, and jam for the pleasure of all visitors. 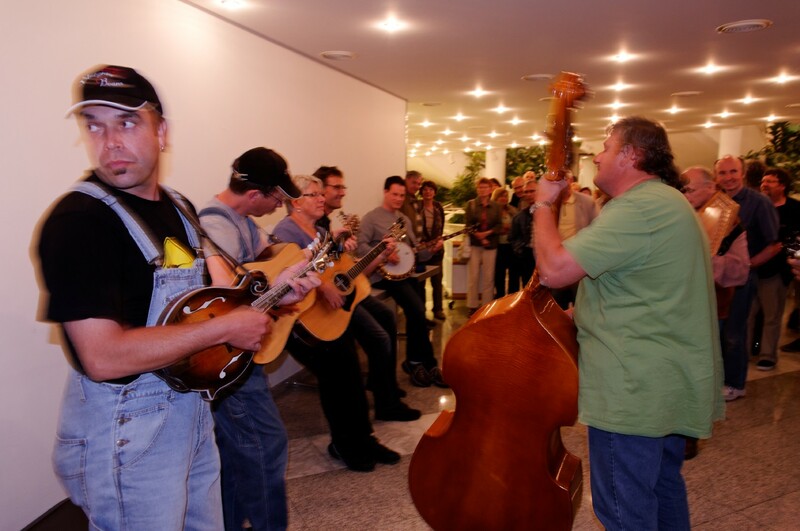 Among these jammers are many bands and musicians from Switzerland, Alsace, and Germany, namely the Wäfler Brothers, Bluegrass Beans, Sunny Mountain Grass, Bluegrass Family, Backporch Pickers, Mart O'Pickers, and Night Run. Thank you all and thanks to all those unnamed artists. Without them, our festival would not be complete. They are always welcome. This tribute reinforces the recommendation made by a working group at the 3rd European Bluegrass Summit (18-20 Feb. 2011) - that jamming facilities should be recognised as a asset to all bluegrass festivals and advertised as such by festival organisers. Thanks to Lilly Pavlak for a report and photos from the Jamboree Strakonice, which this year celebrated the twentieth anniversary of bluegrass music in Strakonice, and also the centenary of the birth of the Father of Bluegrass, Bill Monroe. Lilly's report will appear in the EBMA's Bluegrass Europe magazine. The star-studded festival programme can be seen by clicking on the poster image (left) or visiting the Jamboree's website. Two of Lilly's photos from the Jamboree are shown here. More photos can be seen here, and still more on Lilly's Facebook page.